Windows 10 Insiders on the Fast ring have got used to weekly new builds from Microsoft, but just lately we’ve been having to go a lot longer between releases. There have been just two new builds in the past seven weeks, although both have been jam packed with new features and improvements, so it's easy to understand the reason for the delay. Build 17074, the latest release for the Fast ring (and Skip Ahead), has a lot to offer users and shows the direction the OS is taking these days. Here’s what’s new. First up there’s the usual raft of Microsoft Edge improvements. The browser’s Hub view shows more content and has been made easier to use, and Edge can now save and automatically fill in card information on payment web forms. The reading and Books experiences have been overhauled and made more consistent. There are new Grammar tools here too, and a new full-screen reading mode. Other Edge tweaks include improvements to the Favorites bar, the option to never save passwords for domains, and the ability to autofill passwords and use extensions when InPrivate mode. Over in Windows Settings, Disk Cleanup has been added into Storage Settings, and the new Sound Settings page has been tweaked, and gains an 'App volume and device preferences' page. This build now lets you use Quiet Hours to set times when you don’t want to be disturbed, and links to the Documents and Pictures folders now appear in the Start menu by default. You can specify other folders to include as well if you wish. If you do a lot of handwriting in Windows, you’ll no doubt appreciate the new Embedded Handwriting Panel. Localization in Windows has been redesigned in this build too. This build includes mitigations to protect Insiders from the Spectre and Meltdown vulnerabilities. For more information on this topic, please see this blog post from Terry Myerson. Additionally, if you are running 3rd party antivirus software on your PC you will need to ensure you are running the latest most up-to-date version of your antivirus software with the latest antivirus definitions to avoid having your PC get into a bad state. Windows now fully supports Adobe-style ".otf" OpenType Variable Fonts, like the Acumin Variable Concept font and others recently released by Adobe. 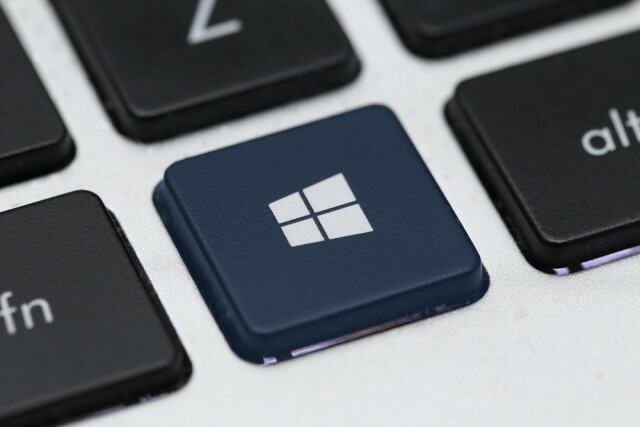 Insiders running Windows 10 S may have noticed that after upgrading to the latest builds, their PC appears to be running "Windows 10 Pro In S Mode". This change is by design and these PCs will continue to function as Windows 10 S PCs and will continue to be able to take Insider Preview builds as part of testing RS4. We’ll have more to share as we get closer to the next Windows 10 release. For Insiders who reported that Windows needs activation after upgrading to Build 17063, this build includes the fix that caused the issue however you will need to use the Activation Troubleshooter to get your activation back into a good state once you’re on this build. Added a new PowerShell cmdlet to retrieve decoded logs for Delivery Optimization (Get-DeliveryOptimizationLog). Updated the reveal effect in the Taskbar’s Clock and Calendar flyout such that the day with focus now has a lighter background. Fixed an issue where Settings might crash if the window was too small. Fixed an issue where Windows Update Settings unexpectedly displayed two horizontal lines. Fixed an issue where in certain cases USB devices with unreliable connections might cause bugchecks (GSOD) on PCs. Fixed an issue from the previous flight where touch and pen weren’t working on the non-primary display. This might also have resulted in mouse, touch, and pen input not happening in the right place after an orientation change or when using a non-native aspect ratio. Fixed an issue where if you were using any EUDC fonts Microsoft Edge, Cortana, and other apps that use a webview wouldn’t launch. Fixed an issue resulting in Microsoft Edge crashing when deleting favorites. Fixed an issue where Microsoft Edge might crash when trying to copy text or login on certain websites. Fixed an issue where Microsoft Edge might crash when opening PDFs on the previous flight. Fixed an issue in Microsoft Edge resulting in images on flickr.com going blank after a follow/unfollow user action. Fixed an issue resulting in a white line being visible on the right side of screen when certain videos are watched full screen in Microsoft Edge. Fixed an issue where while navigating through OOBE, some of the buttons in the pages might not display correctly. Fixed an issue resulting in Themes appearing in Start after they’d been downloaded from Store. Fixed an issue where the feedback message (like from Windows Hello) could end up overlapping Spotlight text on the lock screen. Fixed an issue where when transparency effects were turned off the Virtual Desktops pane in Task View would overlap Timeline with no background. Fixed an issue resulting in an explorer.exe crash when using WIN + Tab to open Task View on the previous flight. Fixed an issue resulting in an explorer.exe crash when trying to use control.exe to open app defaults. Fixed an issue where the Taskbar might render completely transparent on secondary monitors. Fixed an issue resulting in certain apps, like Firefox, might not have audio after upgrading to the previous flight. This issue also impacted the ability to record audio in Microsoft Edge. Fixed an issue where surround sound gaming headsets would revert to stereo after rebooting. Fixed an issue in the audio service around app impersonation which was breaking audio recording from apps like Firefox which intentionally run with a restricted token. Fixed a couple of issues resulting in crashes in the "audiosrv" and "audioendpointbuilder" audio services which would cause audio not to work, or new audio devices not to be recognized. Fixed an issue resulting in Hearthstone not launching on the previous build. Fixed an issue that could result in fullscreen games getting stuck minimized or exiting fullscreen status unexpectedly. Fixed an issue where the emoji panel search wasn’t working in desktop (Win32) apps. Fixed an issue where the input flyout wouldn’t appear the first time you pressed WIN + Space. Fixed a memory leak in NisSrv.exe from the previous flight. Fixed an issue where MsMpEng.exe might unexpectedly use a high number of disk I/Os per second for a long time. Fixed an issue where WerFault.exe might spike to 50 percent+ CPU for an unexpectedly long time. Fixed an issue when using the Arabic touch keyboard where pressing Ctrl wouldn’t show the directional markers on the Shift keys. Fixed an issue where the OneNote app wasn’t being included in Cortana’s "Pick up where I left off" notifications. Fixed an issue on certain PCs where using the fingerprint scanner wouldn’t wake the PC up from Connected Standby. Fixed an issue where you might show as connected to the network, but you wouldn’t actually be connected to use the Internet. Fixed two issues that could result in some PCs bugchecking (GSOD) when entering into Connected Standby. If you had a laptop that encountered this, the experience would have been that you’d open your laptop and unexpectedly be logging into a new session, rather than continuing the one open before closing the lid. Fixed an issue where some Bluetooth devices weren’t working and Device Manager showing error 43 for those drivers. Microsoft is preparing for the inclusion of OpenSSH Server as a deployment mechanism in Developer Mode. However the UI code got checked in ahead of the components, and so while there is a "Use OpenSSH (Beta) for remote deployment" switch in the UI under Settings, it won’t work, and turning it on will break remote deployment to that device until the switch is turned off. When you open Task View immediately after an upgrade, Timeline may not be visible. If you encounter this, wait 15-30 minutes and try launching Task View again. The Windows Defender icon is missing from the systray, even if it shows as enabled in Settings. Certain devices may hang on the boot screen after upgrading. If this happens to you, go into the BIOS and disable virtualization. Apps that come preinstalled with Windows may fail to update in the Store with error 0x80073CF9. Upgrading to 17063 or later builds sometimes causes Settings / Privacy / Microphone, Camera, etc. to flip to "disabled", which breaks camera and microphone access. A workaround is to manually turn them back on.